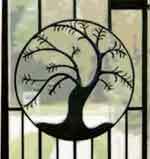 Hand in hand with the metal fabrication and ironwork is the access control system. Systems are engineered from the beginning to the end with each component considered and customized to suit the access control needs. The reliability, the cosmetic features as well as the inexpensive maintenance cost make the hydraulic operator our staple product for the access control system. A number of access control options are available to our customers including; numeric entry keypads, thumbprint recognition, visual recognition and remote monitoring and identification systems. Iron Access has been a leader in developing intelligent access control products that integrate with new logic software. Along with the software, Iron Access incorporates modular components for ease of part interchangeability as well as the maintenance of the gate entry systems. Installation is performed using only the highest-grade materials and techniques ensuring low maintenance costs and a reliable access control system. Iron Access is able to control entry systems for a wide array of clients including individual gated residential properties, gated communities, revenue parking systems, and complex commercial facilities. Iron Access specializes in custom metal fabrications using a wide variety of specialty metals such as aluminum, brass, stainless steel, and plain or galvanized steel. Iron Access is well recognized for gates, fences and architectural structures for gated communities, industrial complexes and private gated residential homes. We are able to design, engineer and fabricate products according to architect's specifications. The pride in our work shows in bringing an idea from the imagination to life. Iron Access is also well established in the parking revenue systems market that serves airports, universities, hospitals, privately owned parking garages and surface parking lots. Unlike our counterparts who specialize only in the parking systems, Iron Access brings its experience and reputation for custom metal fabrications and diverse knowledge of access control devices from other markets to the parking industry. This enables Iron Access to provide a tailored system to meet the needs of the end user. Our parking systems consist of time and date stamped ticket dispensers with simple exit cashier machines as well as advanced machine readable on-line software supported revenue and contract access control systems. Each system installed by Iron Access is incorporated into the family of access systems that are monitored and managed by highly trained technicians. Iron Access offers a maintenance contract in which each system will be constantly supervised and adjusted to meet the needs of the client. We are able to evaluate and service competitors' systems as well as to provide recommendations for modifications that will render the system most reliable. Currently, Iron Access has been a leader in servicing the southeast Texas region, and is aggressively expanding into the national markets.